← What is Physical Therapy? Becoming severely injured can have some huge consequences on your life. Injury and disability can really turn your life upside down. You may not be able to do the things you were once able to do. Small tasks can feel like a huge burden. You may not be able to make a living because you are not able to do your job. So how can you get your life back? Road to Recovery Physical and Occupational Therapy offers top-notch physical therapy in Brooklyn, New York, as well as high-quality occupational therapy in Williamsburg. Through our support, we can set you on the road to recovery! The first step to recovery is physical therapy. If you were injured, disabled, recovering from an illness, or if you need post-surgery support, through physical therapy we are able to improve your strength and also your range of movement. This is an important step to recovery. Slowly but surely, we are able to make sure you have the strength to do the things you want, and get back to work! Through physical therapy, we are able to restore your strength and physical abilities. However, that is just the beginning. Once you feel strong enough, we will provide occupational therapy. Occupational therapy is used to help you do every day things again. We can help you relearn how to work, improve your abilities so you can live a normal life, and basically make sure that you can continue doing the things you love. It is important to know that we cannot help you recover in just one day. This process is a process that can take a while depending on the severity of your injury, disability, or health condition. But we will guide you through every single step of the way! 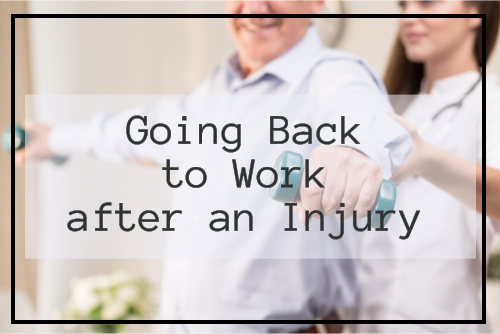 Eventually, through our therapy we can help get you back to work and help you restore your independence! If you would like to learn more about our therapy services, and how they can be used to help you live a normal life again, feel free to visit our website at www.b2hpt.com for more information today. If you have any questions that you are interested in asking us, please do not hesitate to give us a call today at 718-868-8668. Let’s make it a goal to get you ready to go back to work by the end of the summer!